Actor Ajay Devgn revealed the first look of his lead actress Sayyeshaa from his upcoming film 'Shivvay'. Ajay is making a comeback as a director with 'Shivaay' after 2008 movie ‘U me aur hum’. 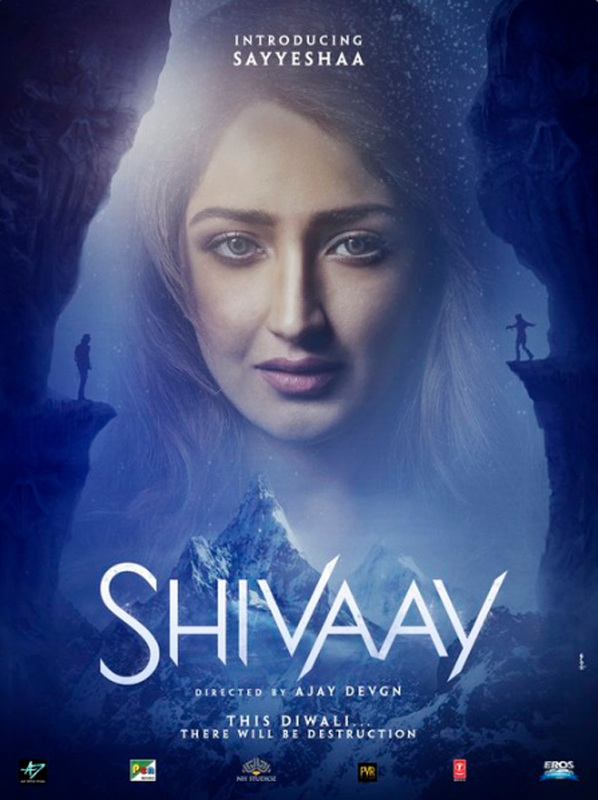 It was today that, when Ajay Devgn retweeted the first look of Sayyeshaa which was shared on 'Shivaay' film’s official twitter handle, "Here's presenting the ravishing @sayyeshaa Welcome her as she joins the journey of Shivaay." Actress Sayyeshaa is the grandniece of veteran actress Saira Banu. If you see the poster you can see, Sayyeshaa face with eyes filled with fear. It also shows two distant icy mountain glaciers where one can see Ajay standing on one cliff and Sayyeshaa on the other with arms wide open. At a recent event, Sayyeshaa shared her experience on working with Ajay Devgn. She said "I am glad to have got an opportunity to share screen space with a superstar like Ajay Devgn. He is a thorough professional and working with him in 'Shivaay' has been a great learning experience". 'Shivaay' will release this Diwali on October 28.